It is difficult to find a perspective that will catch the scope of what has constituted Johan Cullberg´s professional life – thus far. Every aspect seems to touch upon the other. He started his career at the department of gynaecology at the Karolinska Hospital: The psychological effect of contraceptive pills. Somewhat later he interviewed 60 women who had lost their child during delivery, a study which he used for his dissertation. These narratives from women in crisis helped him to fully understand that it is not only a painful period that has to be lived through. It is also, in fortunate cases, a starting point for a process of maturation that opens up for insights not available previously. This experience is described in his book: “Crisis and maturation”, which was published in 1975, a book which has contributed to the general understanding of the crisis experience. He points to the importance of coming to a stand still to be able to look at the catastrophe in a personal life context. Many unfortunate individuals will eventually come out as stronger and more mature persons. At that time Johan Cullberg also became the head of one of the outpatient clinics in the Nacka project, one of the first areas in Sweden to focus on psychiatric care outside the hospital. He took special interest in the interplay between the individual patients and their close environment. Medicine and hospital care came second, and normalization was at the centre of his interests. Later he became the head of the research unit of the project where he more systematically studied the environmental effects on mental health. He wrote about the anomic milieu; its alienating effects and how it tends to deprive people from getting enough confirmation of their human dignity to allow them to go on. Most people who live in a suburban environment find ways to overcome this, but it is harmful for those who are vulnerable. Johan Cullberg wanted to understand what conditions in society have to be changed to make the interaction more positive. During these years he was also engaged in the situation for the patients who had to be confined in the hospital ward – especially those who suffered from psychosis. This had a special meaning for Johan Cullberg as one of his brothers became schizophrenic and was locked in a hospital ward and treated with hundreds of electroconvulsive shocks and insulin treatments. Even if his brother in many respects faded away slowly as a person, he is still active and recognized for his artistic painting. Having lived with this pain for the main part of his life, Johan has fought for a more decent treatment of psychotic patients. He has claimed the need for lower doses of antipsychotic medicine and a reduction in the use of compulsory treatment. On the whole he has wanted the psychiatric care to take a more humane direction. Of course it has kindled a hope in many patients and their families, when a person from the psychiatric establishment took sides with the patients: But the disappointment has been equally strong, when it turned out that he had kept his belief in neuroleptic treatment in adequate doses and in the existence of biological factors as the main determinants of schizophrenia – even if he is a psychoanalyst. 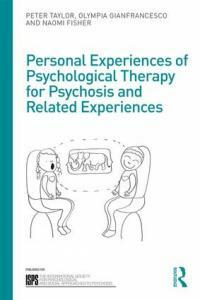 For him the psychodynamic understanding is indispensable, but it is not really an alternative when it comes to the treatment of psychotic patients. What we read about in the literature are single case reports that he believes are exceptional. He has discussed his opinion that it is necessary to integrate the biological with the psychodynamic approach in open debates and in the scientific press. But the ambivalence to his integrative endeavours has appeared when at times his contributions have been passed over in silence or have been considered unrealistic. This was particularly clear when they were nominating a candidate for a professorship, which according to many people was intended for Johan Cullberg, and he was disregarded. Many were very upset. When asked about it Johan himself thinks that the academic debate in Sweden is polarized and simplified. (Some ten years ago, however, he was warded an honorary professorship). During the eighties and the beginning of the nineties he worked clinically at the same time as he continued formulating his experiences in writing. It was for him a matter of course to convey to others what he had seen and thought about psychiatric conditions, their background and treatment. First of all medical students have been his target group, as he sees them as central when it comes to a change of Swedish psychiatry. He wanted to write study literature from the subjective and objective perspective as well as the biological, the psychological and social, each being the necessary condition for the others. His next book, “Dynamic Psychiatry”, is a far-reaching text-book that covers psychiatry s a whole. At the same time it gives place for personal vignettes including empathy and understanding, it gives directions as to medication and diagnostic considerations. The following book, ”Psychoses”, is as exciting as a novel, and has surely tempted many students to start working in psychiatry. He gives psychodynamic explanations of the background to the psychotic condition, and demonstrates how the compulsory measures can be replaced by respect and kindness. But it also leaves space for much that is still to be understood about these conditions, especially the vague concept of schizophrenia, which probably covers a lot of different states of mind. Later he widened his perspective to the literary field and has written two so called psychobiographies. In his eagerness to try to understand more about the psychotic process, he grappled with three Swedish authors: Stig Dagerman, who committed suicide, and August Strindberg and Gustaf Fröding both of whom became psychotic. From a psychodynamic perspective he reads their texts, supplementing them with outside information about their lives and excerpts from their psychiatric files. In describing their existential situations he digests it into portraits of human beings of flesh and blood, who in their literary works have tried to understand their problems. The last ten years of research have been dominated by his work with the ”Parachute Project” – an expression of his wish to understand what factors are of importance for the psychotic break down and for the outcome. First of all, however, he wanted to demonstrate that it is possible to make to make psychiatric care more humane by considering the patients’ individual needs. Important research questions have been: What distinguishes those of the 175 patients who had a good outcome from those who never were able to return to their prepsychotic life? And what did it mean to them that instead of noisy and messy hospital wards they stayed in quiet, small, homelike units – mostly outside the hospital? Especially he wanted to find out the consequences of offering lowest effective doses compared to minimizing symptoms by using high doses of antipsychotics, often with heavy side effects. The project is going to be presented at the ISPS conference in Madrid 2006. Johan Cullberg has said that he more and more has adopted a view of the human being as one who has to take responsibility for her life, irrespective of her psychological problems. After all, one has to believe that no one can change another person who is not willing to change. What kind of life does our patient want to live? What kind of person does she want to be? Those of us who have chosen to try to help those who seek our help, first of all have to support her in reaching the goals she has set for herself. We are not there to cure or correct other people to make them fit our model for a normal person.